Artist Peter Karis was an expressionist, painting people, flowers, trees and objects as he interpreted them, not as they seemed to be. 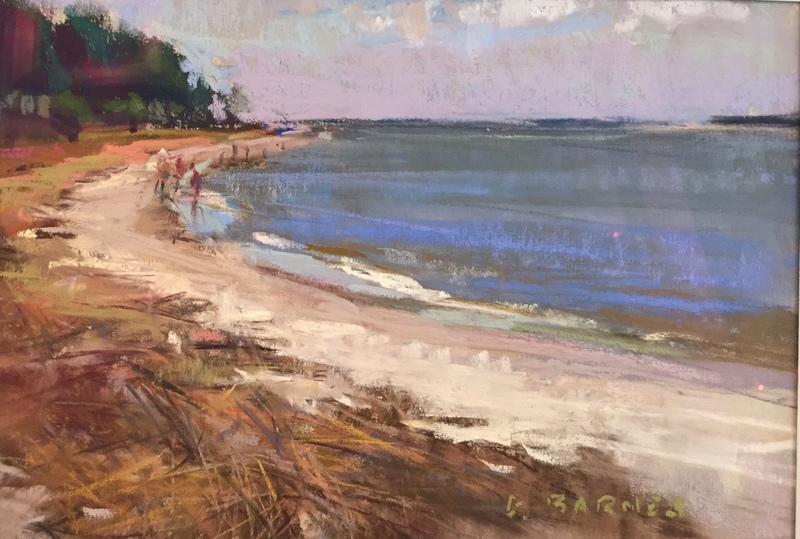 Karis worked in acrylic and the subject matter was interpreted with maximum color, conveying emotion and power. The work tends to draw you into a memory of your own, more evocative than descriptive. 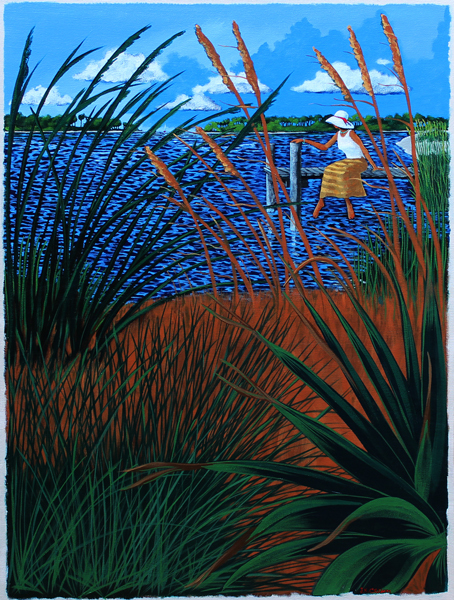 Karis has won numerous awards for his work, which has been exhibited throughout the United States including the Nabisco Gallery, Cleveland Clinic, Cooperstown Art Museum, Butler Museum and Kent State University. Internationally in 1993 Karis was one of three American artists selected to exhibit at the Gallery Roseg outside of St. Moritz in Switzerland and in 2005 was nominated to participate in the Annual International Biennial of Contemporary Art, which was held in Florence, Italy. Italian born Guido Petruzzi is a retired executive from the New York City Fashion Industry. He built 17th and 18th century reproduction English furniture as a hobby until he moved to South Carolina, where he began painting en plein air or in his studio on Hilton Head Island. Oil is Guido's medium of choice. 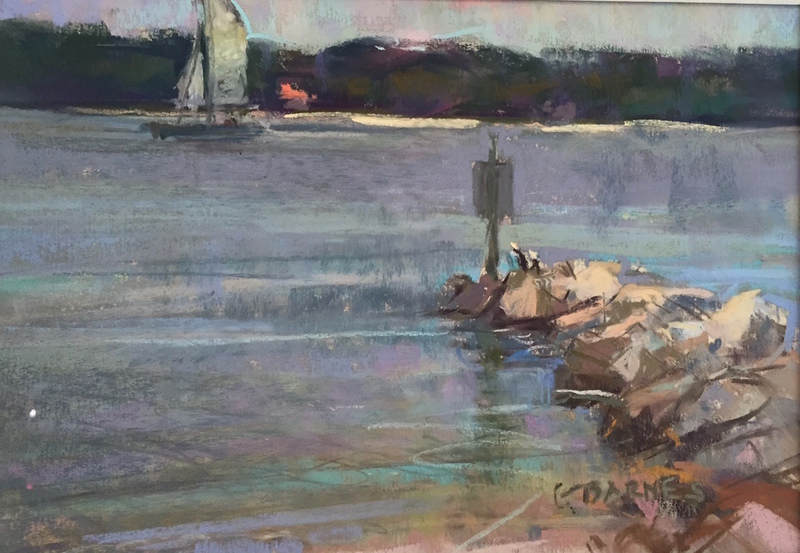 He studied privately with Morgan Samuel Price, James Sulkowski and Scott Burdick, and continued to hone his skills in workshops with plein air painters Matt Smith, John Budicin and George Strickland. 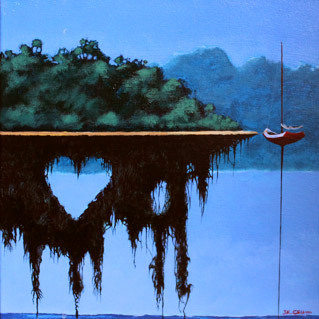 His paintings are in private collections throughout the United States, Italy, Germany, Brasil and Canada. 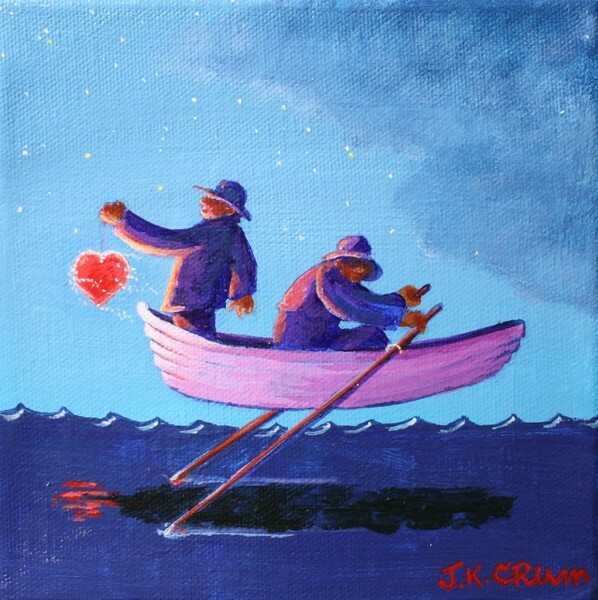 John Crum received his classical art training at the Ringling School of Art & Design in Sarasota, Florida. John embarked on a graphic design career, which he still enjoys today. 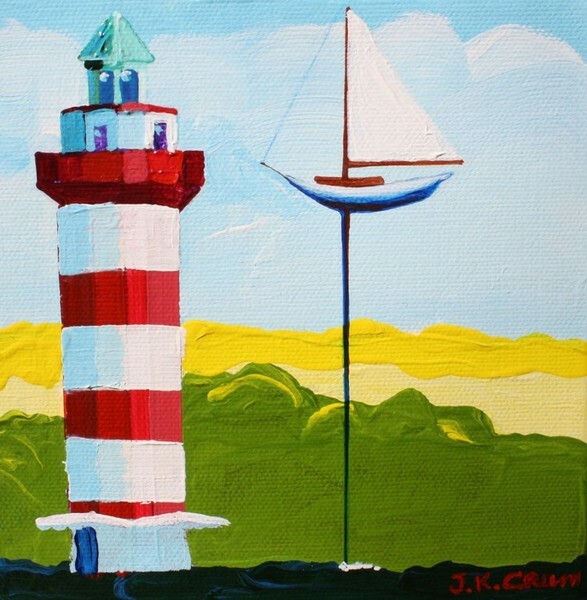 Relocating from the north shore of Ohio to the beautiful Lowcountry, John now draws from the inspirational landscapes, ocean views and local culture for the subject matter in his paintings. 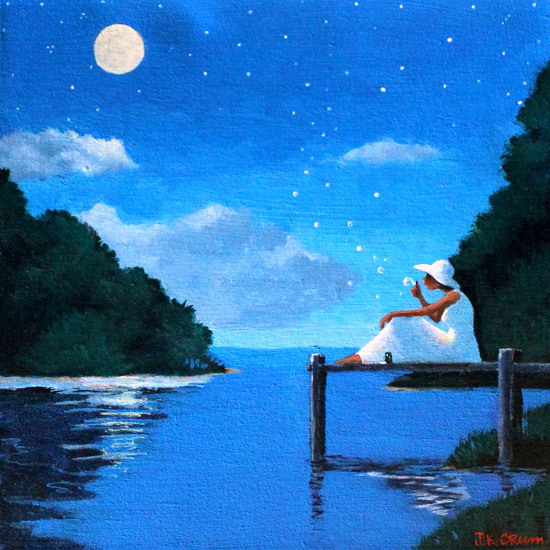 Dobbin transcends conventional wisdom with her soft and lyrical paintings. 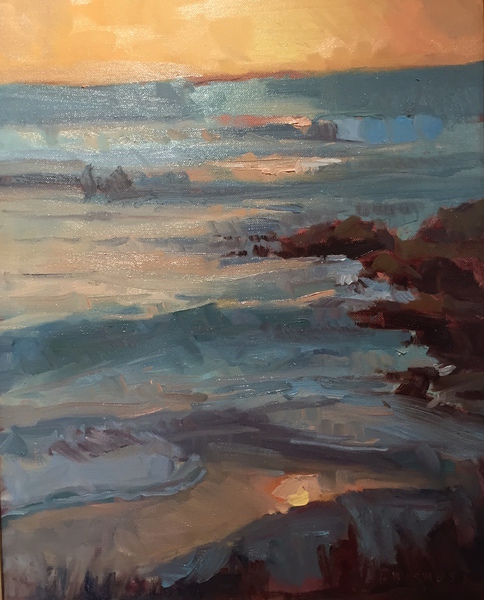 While aiming for a loose interpretation, she uses small amounts of detail to emphasize focal points and applies lush textures with the palette knife. 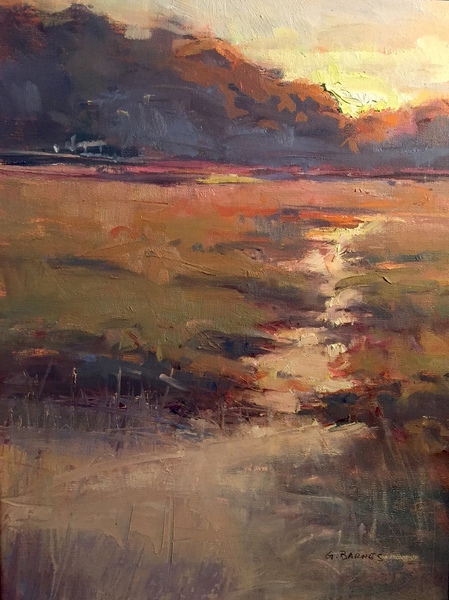 Her light infused landscapes evoke a feeling of tranquility that is almost spiritual and invite the viewer to share her passion and reverence for nature. 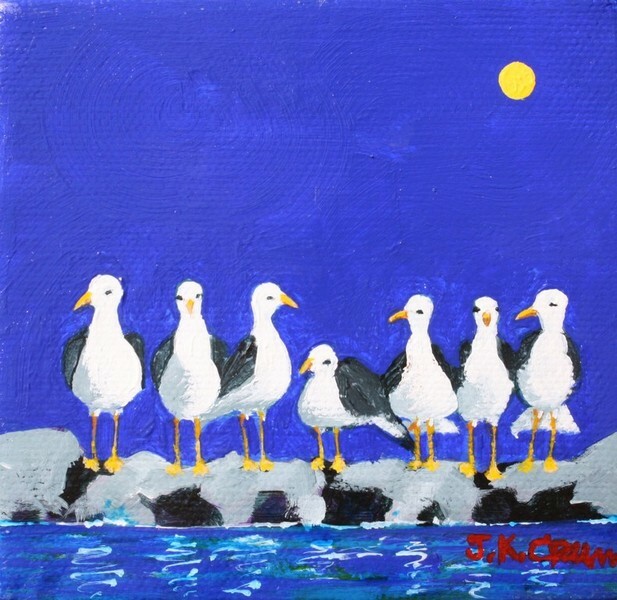 Dobbin received an art degree from Washington and Jefferson College, taught classes for the artistically gifted at Carnegie Mellon University and has been a professional artist for the past 25 years. 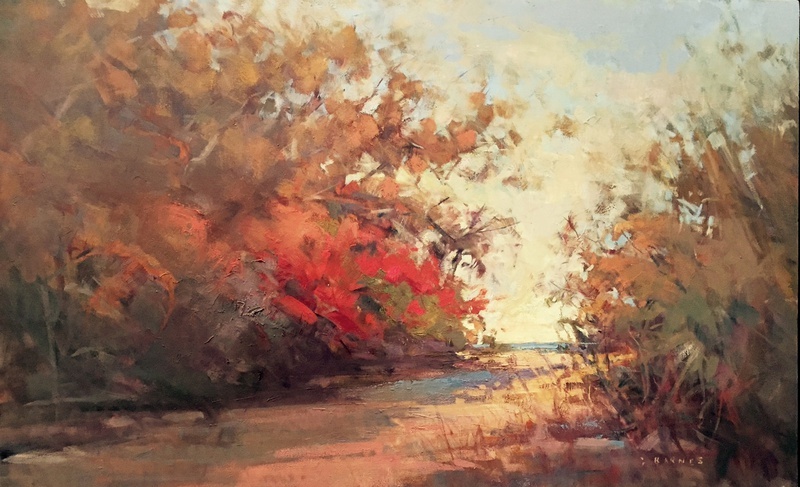 Alice Dobbin is a member of the Oil Painters of America and the American Impressionist Society. 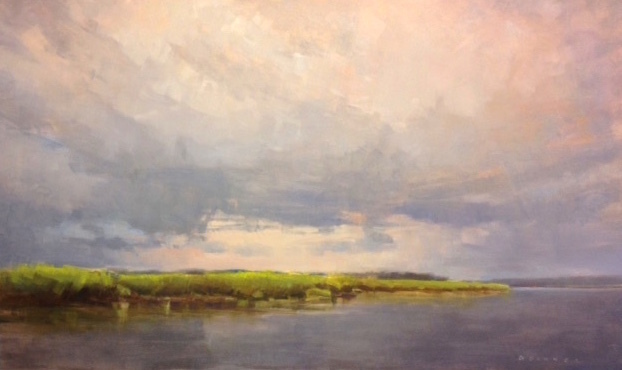 Her work has been published in The Best of American Landscapes, American Art Collector Magazine and Charleston Style & Home. 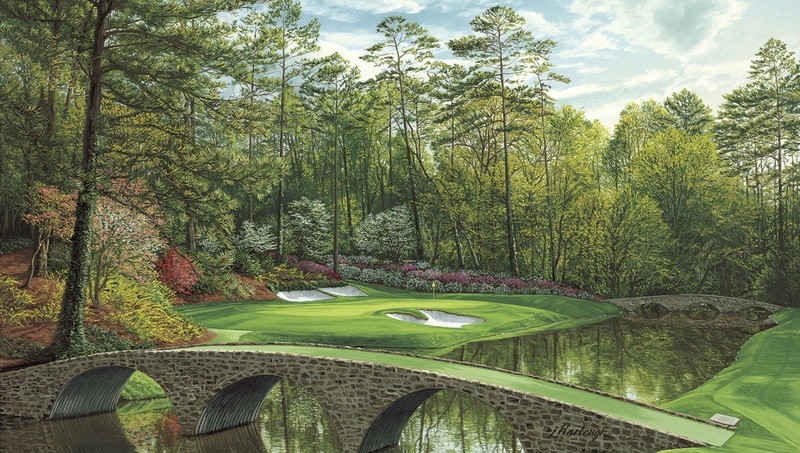 Her paintings are included in private, public and corporate collections throughout the United States, Europe and Australia as well as in the collection of a former US president. 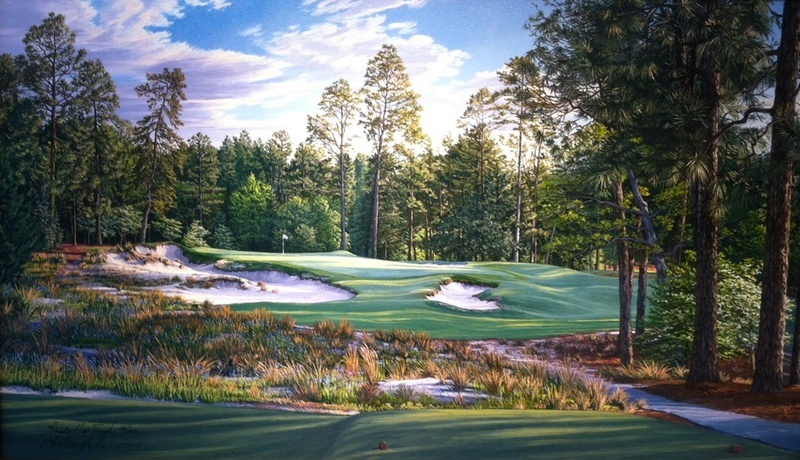 Linda Hartough has become recognized as one of golf's leading artists. 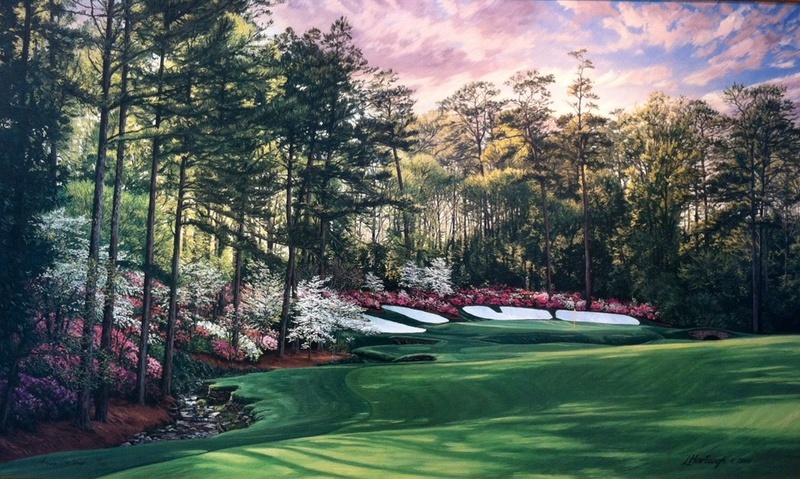 She is the only artist ever commissioned by the United States Golf Association and the Royal and Ancient Golf Club of St. Andrews to create the annual, official paintings for the U.S. Open and British Open Championships. 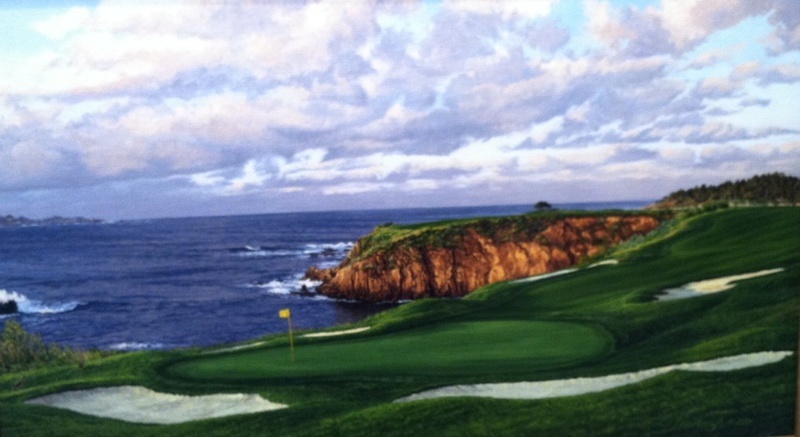 Television Golf Specials on famous golf holes hosted by Jack Nicklaus. 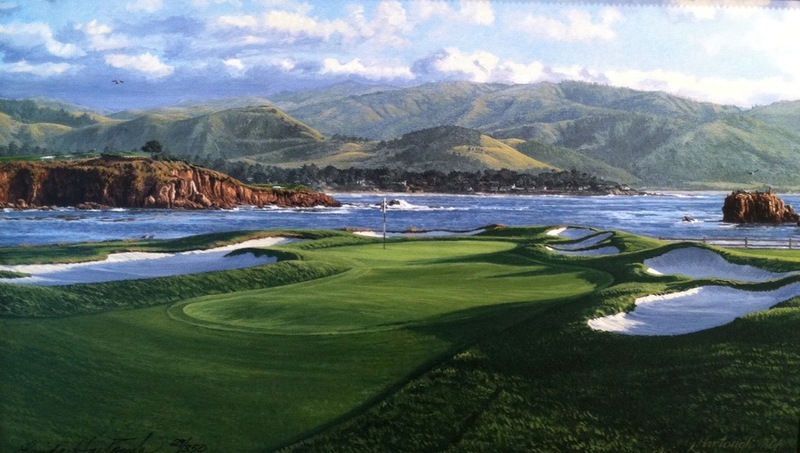 awareness and appreciation of golf art as a valuable segment of fine art. varied landscape in the world combined with a deep, historical sense of tradition that transcends time. 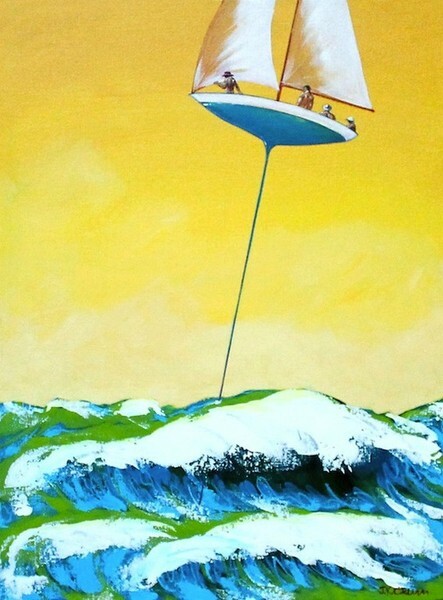 The painting is a success when both elements emerge." Greg Barnes received his formal art training at Wake forest University, receiving a BFA in 1985. 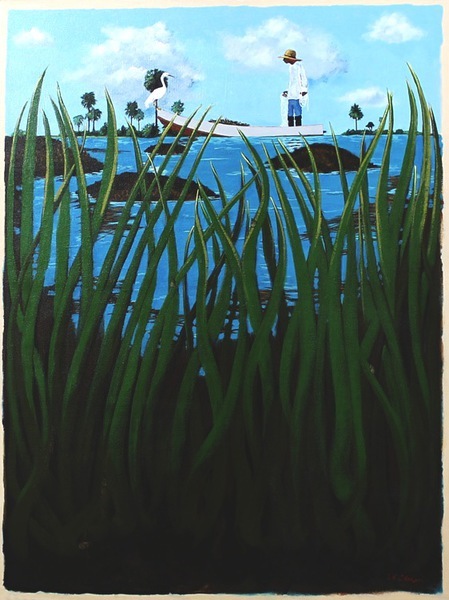 Landscapes are Greg's first love and he enjoys paintng on location. 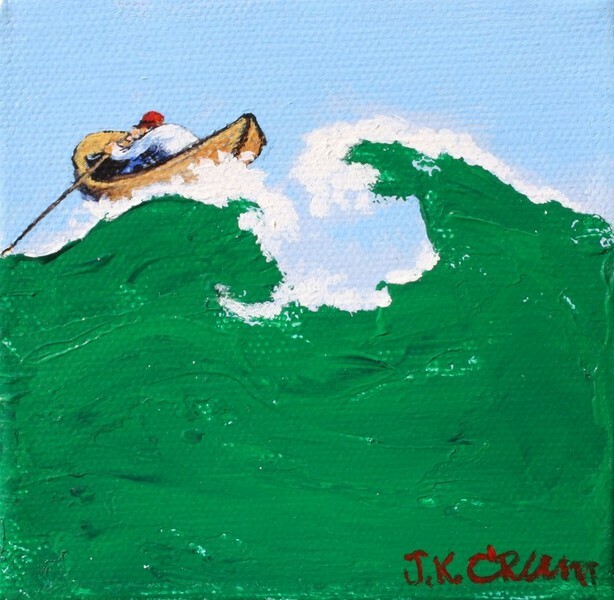 A a result of his style of working quickly on a scene he leans toward the impressionistic style. A mix of realistic and impressionistic elements give his paintings a life of their own, while a free creative use of color punctuates his style. 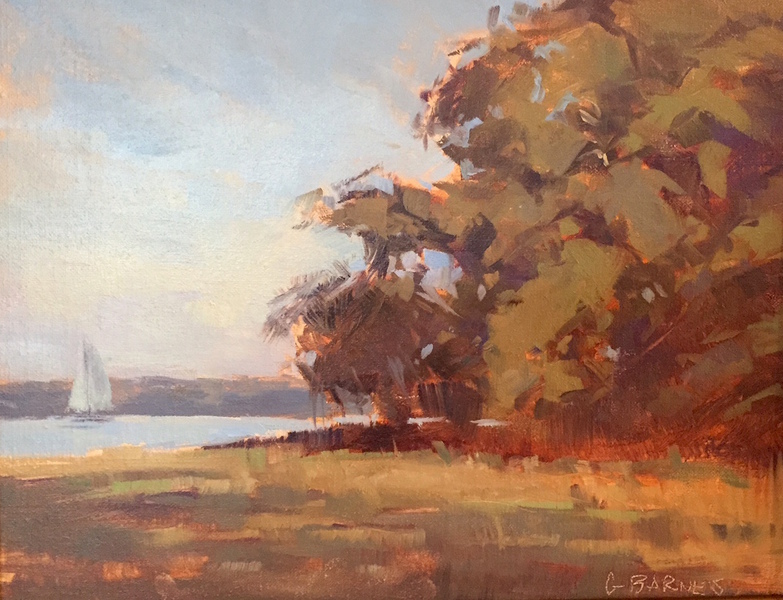 Greg Barnes paints out of his Charlotte, North Carolina studio, travels the country exhibiting his work and teaching plein air workshops. Art Cornell is an acclaimed photographer, poet and painter of abstract art. Memory Matters both here on Hilton Head. He has judged art and photography shows and has written five poetry books.